Since I didn’t do a review last week. I figured I’d do two this week, both on the same company, so look forward to another one tomorrow. I first found out about Red Apple Lipstick (RAL) a few months ago. I instantly was intrigued. A pretty natural high end make up line that’s gluten free and for the most part allergy free. I’m sure someone out there is allergic to something in one of their products. Here’s a little info from there website. That’s right, they have a 6 MONTHS return policy. From the website “Iced Mocha is a lovely taupe color that is packed full of shimmer!” And “Vamp is a deep red color that reminds of aged red wine.” Sigh, I’m torn. It’s sort of reddish. These eye shadows are smooth and buttery. Decent pigmentation. I actually prefer something that has a medium? intensity. Something that can be lighter, or built up to full color. Staying power is good, I don’t normally wear a base or primer. If you do, the staying power would be amazing. I normally don’t have problem with shadows fading, so I’m not the best for that. The only complaint I have with these two colors. Vamp isn’t has burgundy as I thought in my head, it pulls a lot of brown. And Iced Mocha is a smidgen more shimmery. Not glitter, just shinier then I could tell on the website. Even though it clearly says full of shimmer. haha. All in all I love these shadows and will be getting more, I have my eye on a few neutrals and some colors for my green eyes. At $18.75 I think they are a bit overpriced. But with sales and coupon codes, they end up being the right price. Just be patient. At some point I want to try the lash project mascara, I get watery eye and almost always get smudging on my lower lash line, or transfer with anything but not natural waterproof mascara. Maybe on one of their sales i’ll pick it up, its over 40.00. My wallet will cry on that purchase. Tomorrows post is on a few of their lipsticks. I won these in a Pinterest giveaway through Acures pinterest page. I was super excited, I hardly ever win anything. Having said that, these opinions are my own, I get nothing for a good/bad review. I’ll give a picture of my bare lips, I figured I might as well do this while my lips aren’t super hydrated. They aren’t really dry and flaking but they are dry enough to show more lines and are pretty flat looking. So we’ll see how they settle and cover. 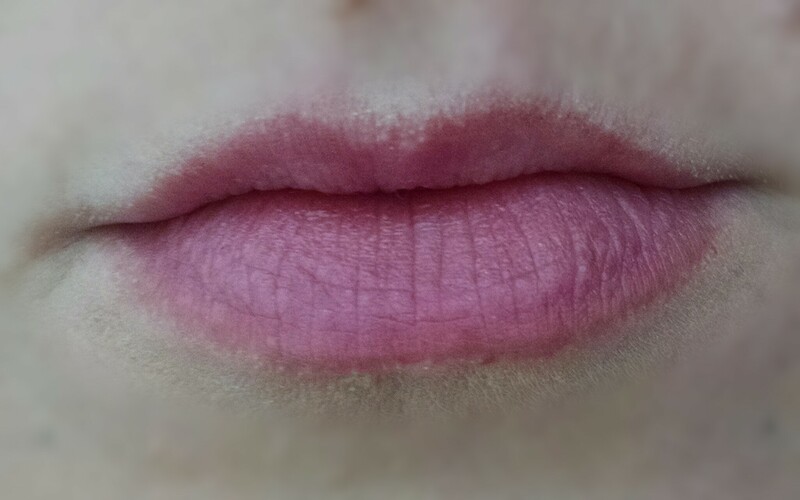 And then of course some pics of the glosses on my lips then I’ll give you a brief review. As for ingredients, these are really good. A lot of organic products were used its gluten free, and I think made in the USA. These two are the most pigmented and not as easy to apply as the others. Not that its hard, but you can’t just slap it on without a mirror. They feel smooth on the lips accept for DAANG does have a texture. but it a smooth feel. Its weird. I can’t describe it. They are not sticky in any way. The only probably I have is I find them blotchy. I can’t seem to get an even color distribution. These are the three with the least amount of pigment. All of them except NO STRINGS has the really smooth texture. NO STRINGS has the same feel as DAAANG. Do you need all three of these colors. Hmmmm. But one of them would be nice. These are by no means long-lasting. However, they feel great on the lips. 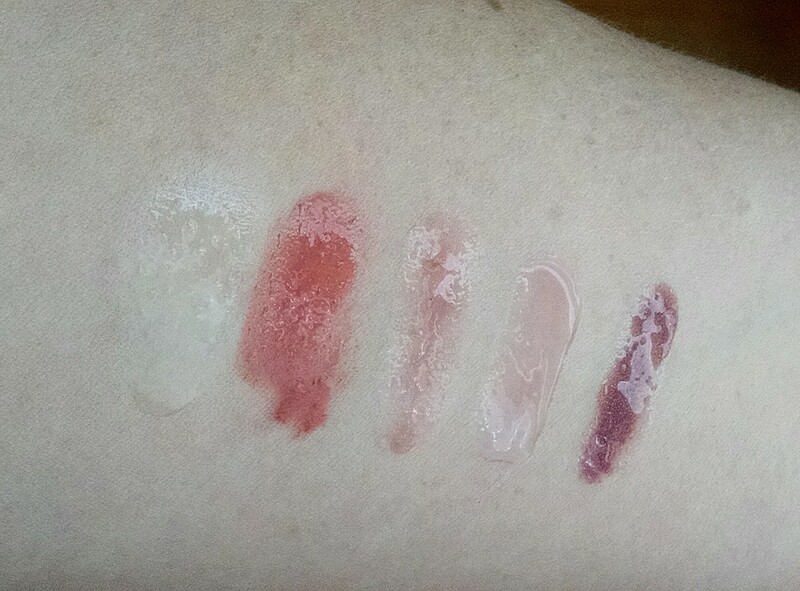 Slightly moisturizer and I think in real life they give a slight to medium wash of color. Just be ready to reapply every few hours.